As Nepal recovers from the catastrophic earthquake, 8 million + people are affected and 1.4 million + people need food assistance. The numbers are sadly rising as access and information increases. The urgency to help our neighbors is grave and the time to act is now. 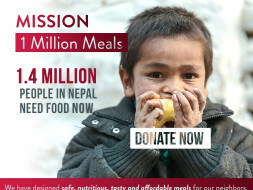 At the Breakfast Revolution, we have begun manufacturing ready-to-eat meal packets for immediate food relief in Nepal. The meals are rich in protein, essential vitamins, minerals and fats, given that these are generally lacking in traditional food aid. Our food is safe, tasty and costs only INR 12 per pack to manufacture and transport. Donations will be exempt from tax under Section 80G of the Income Tax Act, 1961. 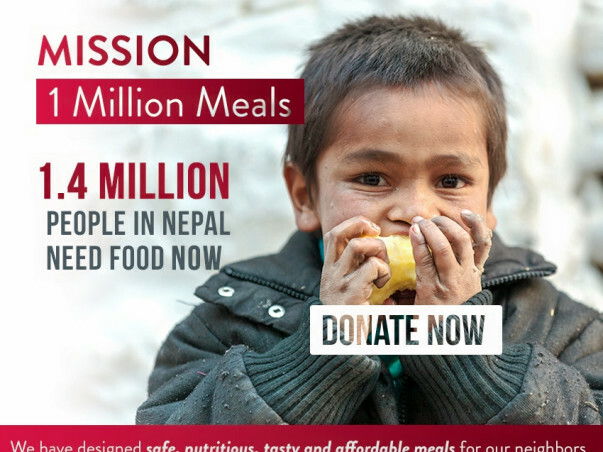 I Definitely want to contribute more for nepal but many company came forward for help. so feel proud to help this people. may god bless them.